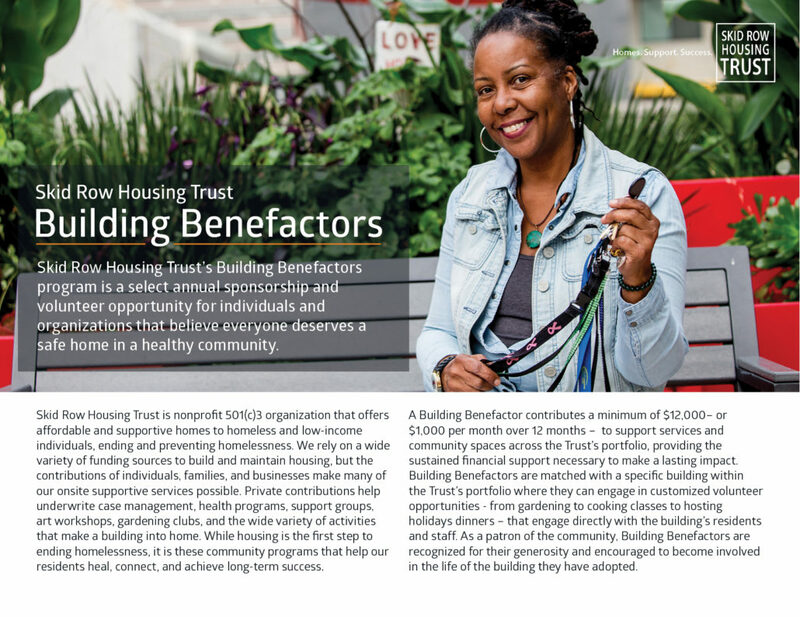 Skid Row Housing Trust’s Building Benefactors program is a select annual sponsorship and volunteer opportunity for individuals and organizations that believe everyone deserves a safe home in a healthy community. Skid Row Housing Trust relies on a wide variety of funding sources to build and maintain housing, but the contributions of individuals, families, and businesses make many of our onsite supportive services possible. Private contributions help underwrite case management, health programs, support groups, art workshops, gardening clubs, and the wide variety of activities that make a building into home. While housing is the first step to ending homelessness, it is these community programs that help our residents heal, connect, and thrive. Skid Row Housing Trust started the Building Benefactor program to enlist the support of individuals, families, and organizations who are dedicated to ending homelessness, creating to a circle of like-minded philanthropists that are invested in the future of our neighborhoods. 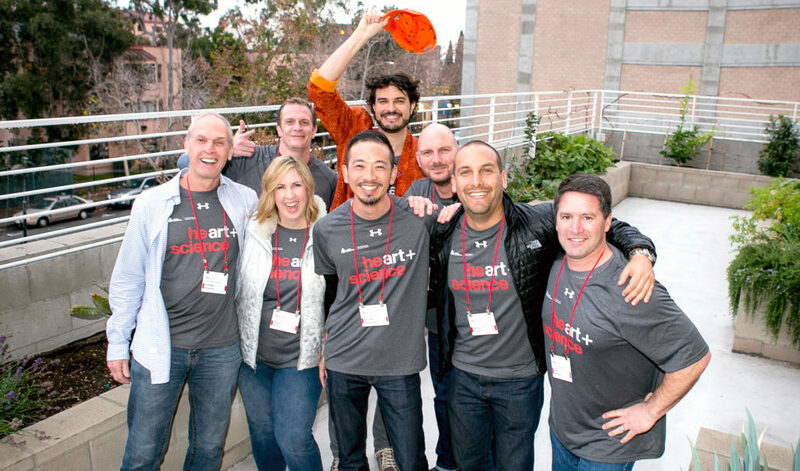 Benefactors contribute a minimum of $12,000 – or $1,000 per month over 12 months – to support services and communal spaces across the Trust’s portfolio, providing the sustained financial support necessary to make a lasting impact. Benefactors are then matched with a specific building within the Trust’s portfolio where they can become directly involved with the community. Donations to The Skid Row Housing Trust are tax-deductible. Our EIN is 95-4205316.